You have options and selling your inherited house fast may be one of those options. You likely have questions and we have put together a guide to help answer some if not all your questions below. Over the next 4 decades baby boomers will inherit over 27 Trillion dollars in assets real estate included. No need to rush into any decisions yet. Besides the circumstances leading to your newly acquired asset may not feel like you just won the lottery. Below we have created some great resources and tips.. 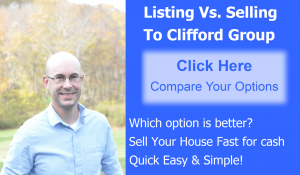 Looking to sell your Inherited house in Connecticut? Inheriting a loved ones home can be a great blessing but can come with many challenges. Depending on your current situation and what you plan to do, you do have some options. Well really you have 3 options. If there was a will in place naming you as the executor then the process will be much easier. If you are the beneficiary transfer of real estate is strangely easy when inherited. In Connecticut if you don’t have a will and you are an adult child or next living relative a Probate court will assign you as an executor which gives you legal authority over the assets and of course take over the bills, including property taxes and monthly utility bills. Here is a great link to how probate works in Connecticut and what you need to do if you do not have a will. You definitely want to consult a Connecticut probate attorney if your not sure about your legal rights. This can all be done through some good estate planning and should be something everyone does. Before inheriting a house You have to pay creditors and taxes first. You always have to pay taxes before any other creditors can get paid. Debts that are secured by property, like mortgages, are called secured debts, because if someone doesn’t pay the loan, the lender can take the property. If you inherit a house, you also inherit the mortgage. Unsecured debts, like credit cards, don’t work that way — as a beneficiary you are not responsible for that debt, but the estate needs to pay all known creditors before distributing property to beneficiaries and heirs. Otherwise, a creditor can come calling to get paid back from estate assets, even after they’ve been distributed. Here at Clifford Group we can take care of any debt the property may have including taxes and fines so you don’t have to worry. Most estates do not need to file an estate tax return. Unless an estate is worth more than $5 million dollars (plus an additional amount indexed to inflation each year). 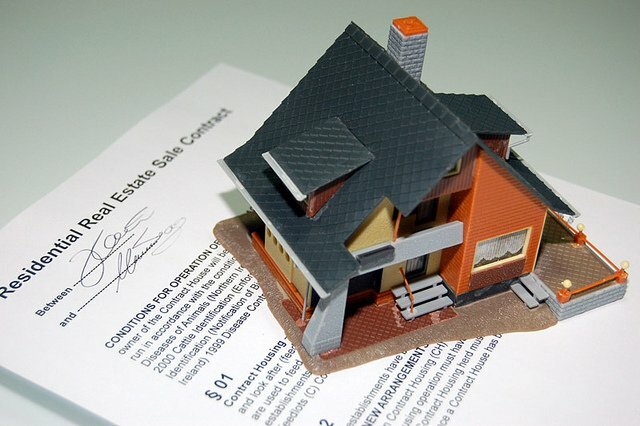 After understanding the financial implications and Connecticut Estate Tax Laws you’ll need to prepare the home for sale. That means clearing out personal belongings, de-cluttering when necessary, and de-personalizing the rooms. The following tips and resources provide helpful information for preparing an inherited home for a sale. This is one of the most emotionally and challenging parts of inheriting a home. Going through your parents’ or loved ones’ most personal belongings often brings back memories of the past. Unfortunately this needs to be done and is something we all go through in our lives. Divide The Belongings: After dividing up the belongings, you may want to have a yard sale or estate sale for the rest of the belongings. There are companies that can hold estate sales for you and they would take a few for any money earned on the sale of the belongings. Probate Court: The estate must go through probate before you may sell the property. Most states have a summary probate process, but this is available only to small estates ranging in value from a few thousand to a few hundred thousand dollars. Most estates that include real estate and other assets will exceed this threshold. If the property owner left a Will, the executor is the person who has the responsibility and ability to distribute the assets of the estate, including real estate. If the property is in a Trust, the trustee holds this same power. In situations where siblings have inherited property together from their parents, one person often has the ultimate authority and responsibility to handle the real estate transaction. Find out your options here our fill out the form below. Sell Your Inherited House: While it’s often tempting to choose a real estate agent based on who you know, enlisting the services of friends or family members to coordinate the sale of an inherited home is probably not the best idea. Selling to a professional cash home buyer may be one of your options and offer you a quick sale and cash in your pocket to move on. Since 2009 we have been providing creative real estate solutions. We buy houses in New Haven and middlesex county.. and pay Top Dollar, fast. If you’re busy like most of us and don’t have the time necessary to fix that house and prepare it for sale on the market.. Then our family team may a solution to help you sell your house fast. If your looking to sell your inherited property now in Connecticut We would love to give you an all CASH OFFER. Check out some of our Testimonials from just a few of our past customers.